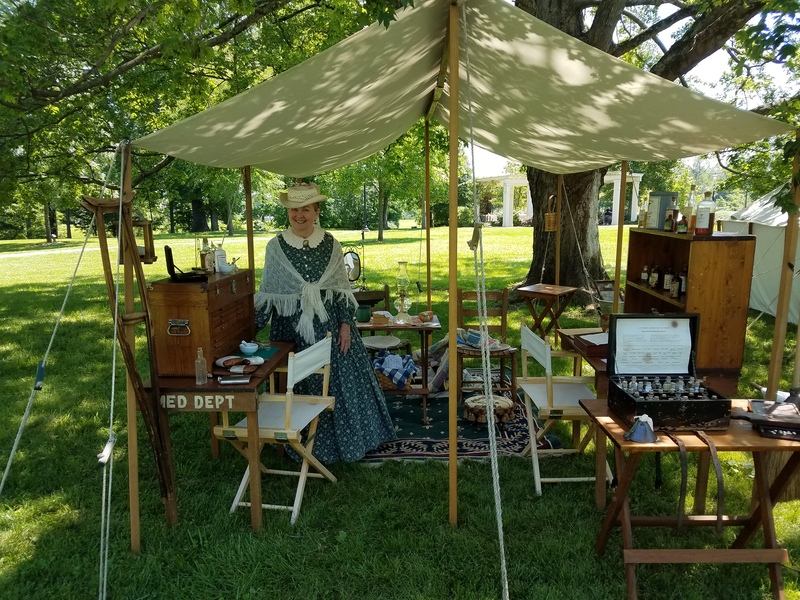 Nancy Wood poses in her Civil War era pharmacy. 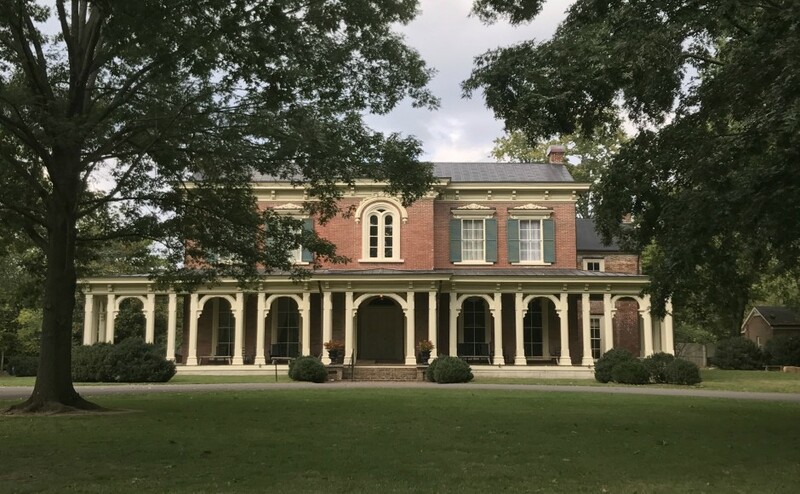 The 19th Alabama Civilians visited Oaklands Mansion this weekend to facilitate a “Washing, Churning and Learning” event, showing what it was like to live in the South during the American Civil War. 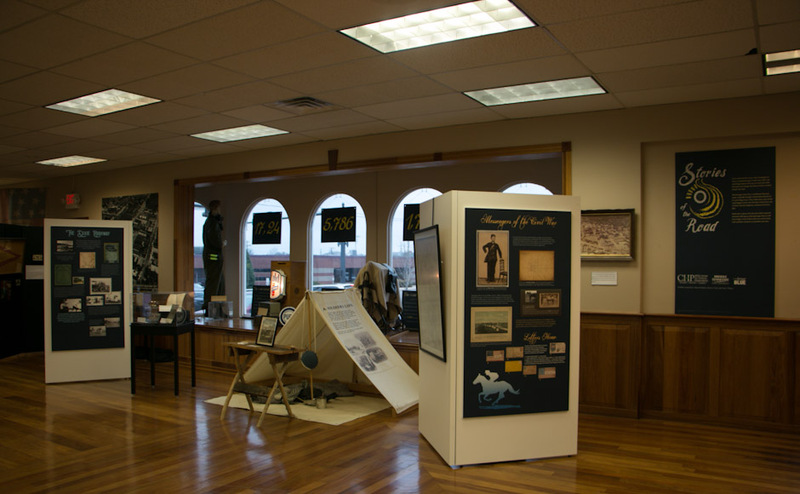 The 19th Alabama Civilians has 25 members, according to Hoover, who founded the group 22 years ago after his 6-year-old daughter expressed an interest in living history exhibitions. 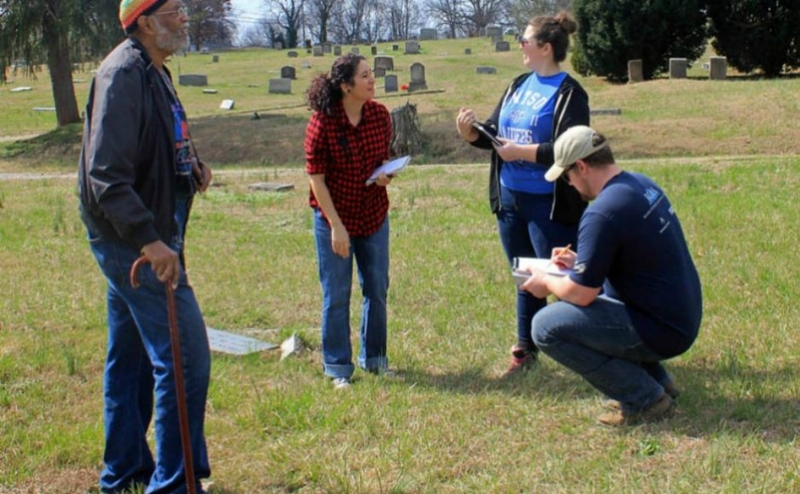 The group, which used to be associated with the 19th Alabama Infantry Regiment, now focuses solely on civilian life. 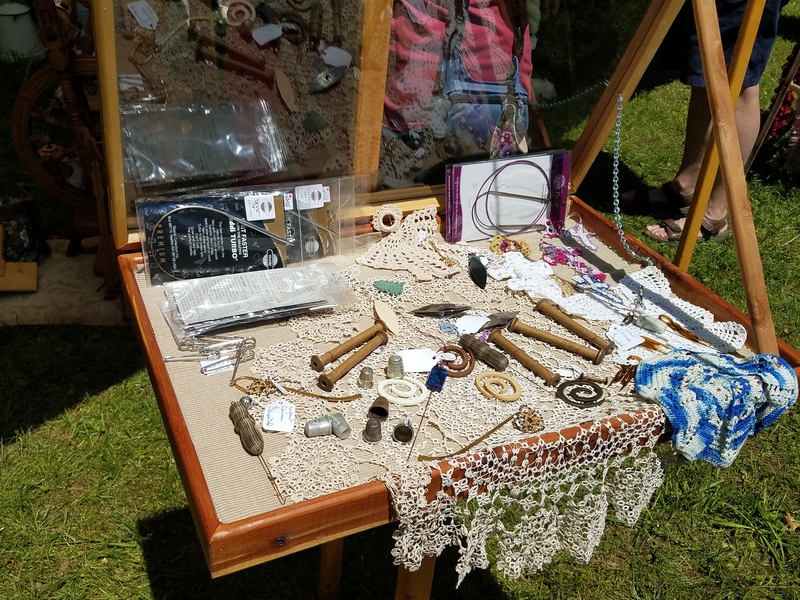 The unit had about a dozen tents where different members displayed their crafts, trades and exhibits. 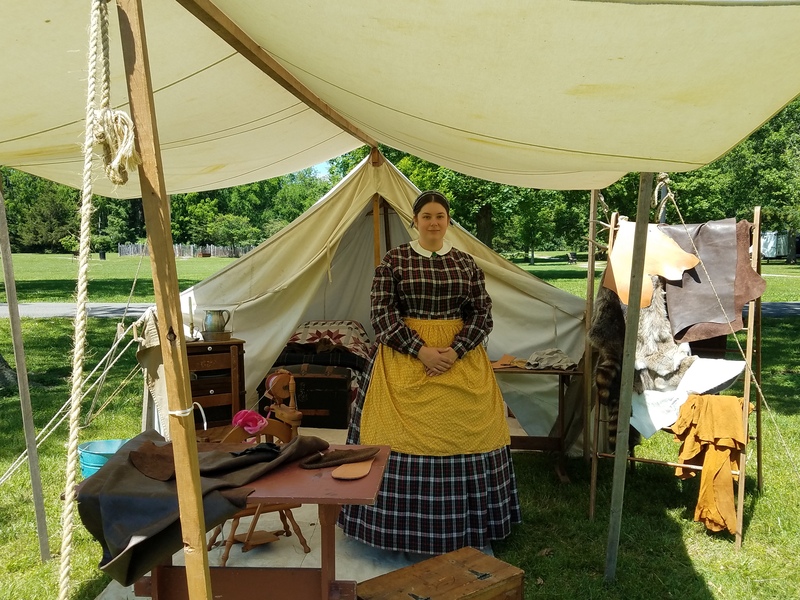 Courtney Read from southern Louisiana manned a leather-working tent in which she explained how boots were fashioned. She said it was her fourth year working with this group. Read said their target audience for these types of events is school children. 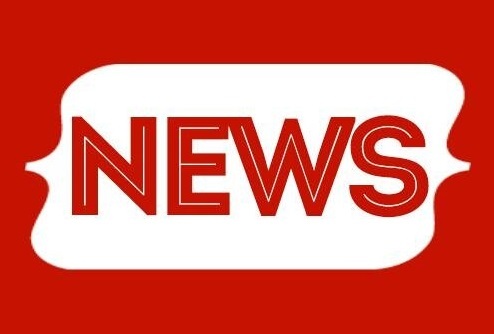 Several Murfreesboro area schools were scheduled to attend the event on Friday, but the field trips were cancelled due to weather and field conditions. Read said that she thinks living histories are important for students’ comprehension of history. “You can read about something in a book, but when you get to actually see it and touch it… I think it’s just a whole different understanding,” Read said. Other actors said they agreed with Read. Cricket Bledsoe recalled a moment in which a group of school children came to her spinning tent. 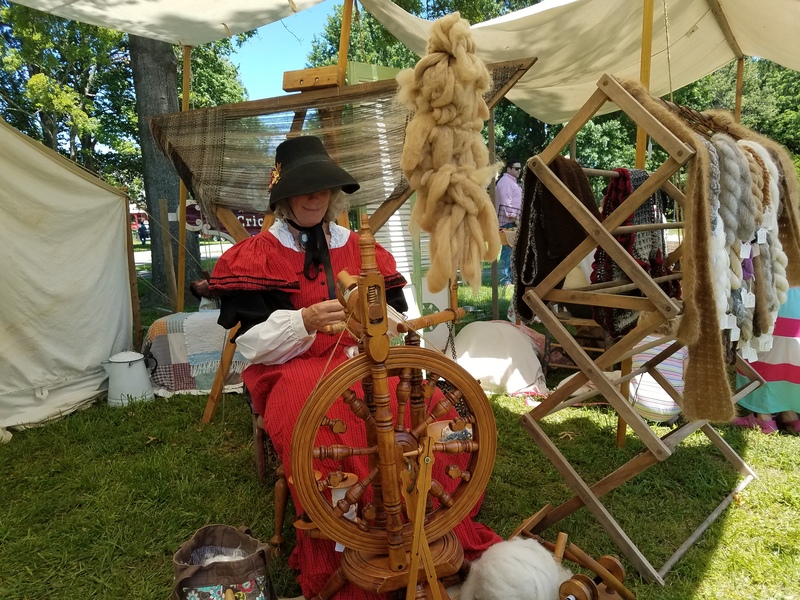 She said they were fascinated to learn that, during the civil war, they would have been responsible for making the textiles for clothing, rugs and blankets. Others say they love this hobby because it’s just plain fun. Partners Nancy and Tom Wood, who have been participating in living histories for 20 years, talked about some more entertaining encounters with students. 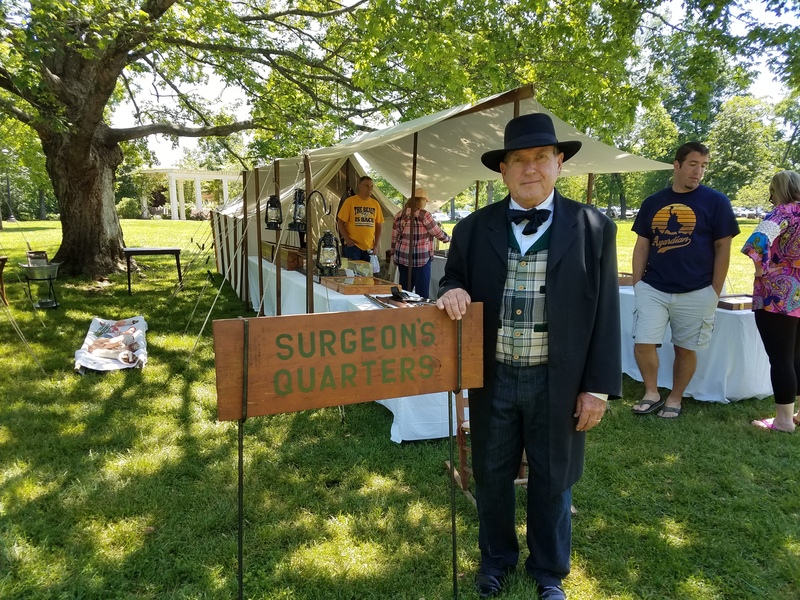 Tom portrays a Civil War surgeon in his tent, which is filled with antique saws, scalpels and cauterizers. Read said that over the years, he has had at least half a dozen faint at his display. Nancy recalled a another time in which her husband did an amputation “demonstration” with a volunteer, a trick table and a dummy leg. She said that Tom threw the fake limb into the audience when he was finished “sawing it off,” which caused one student to run in terror but gave the rest of the audience a good laugh. 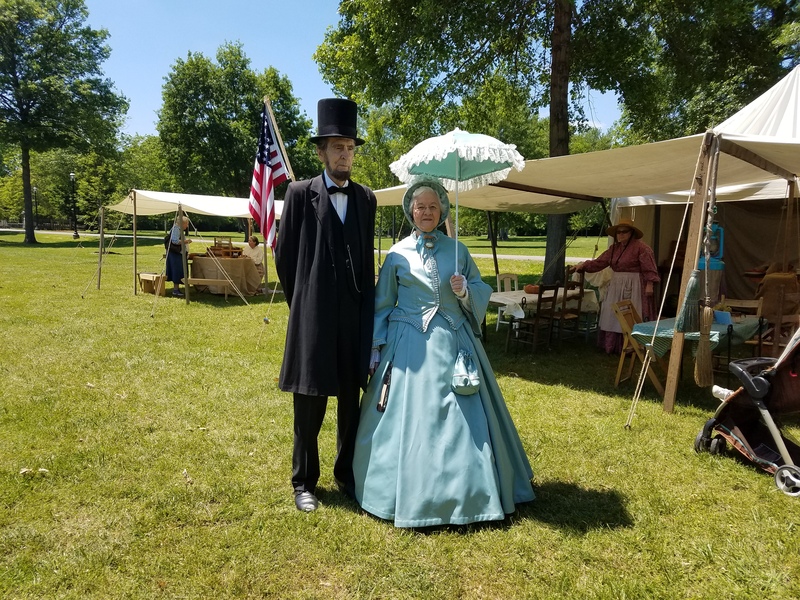 Other tents at the event included a mortuary, which explained customary mourning periods and attire. There was also an outdoor kitchen, a bathhouse and a laundry area. 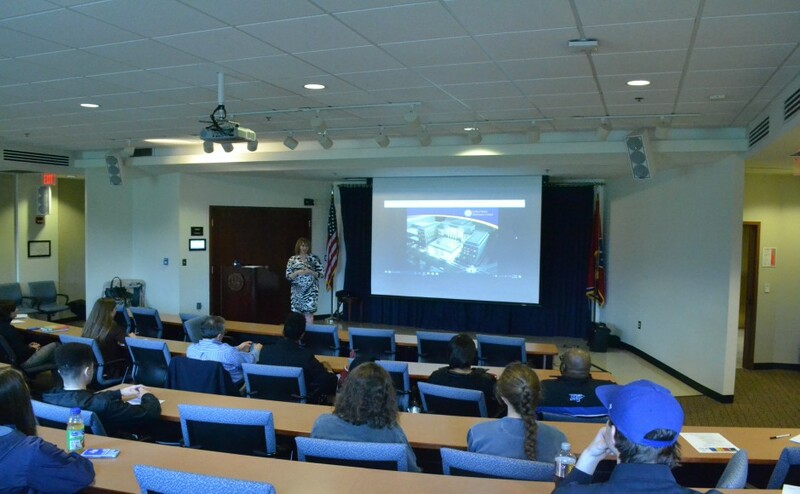 “The generation today will never know what this is unless you keep the history alive,” Hoover said. The camp takes 8 hours to set up and 4 hours to tear down, according to Hoover. He said that all of the work is worth it when students return to the camp after a field trip with parents and friends, excited to show what they learned.